Author Jim Thorton on Mt. Elbert in Colorado. 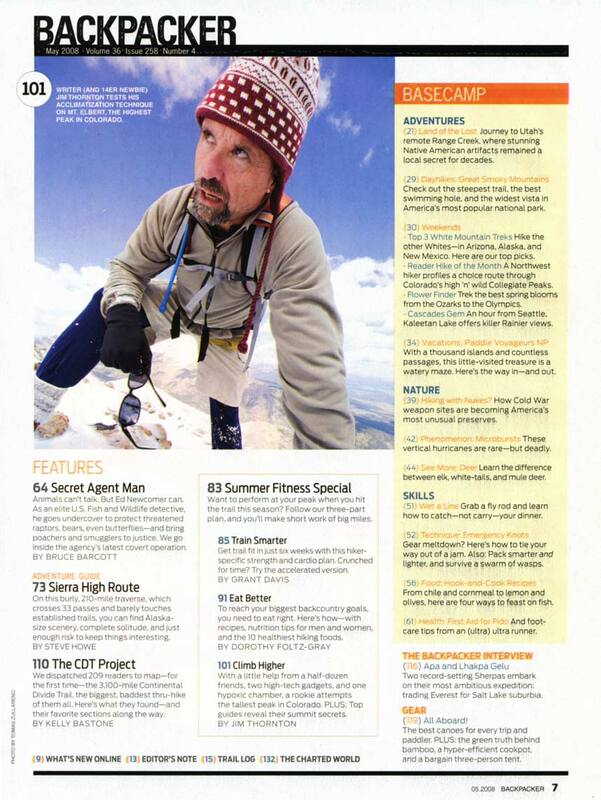 This is a feature story for backpacker Magazine.